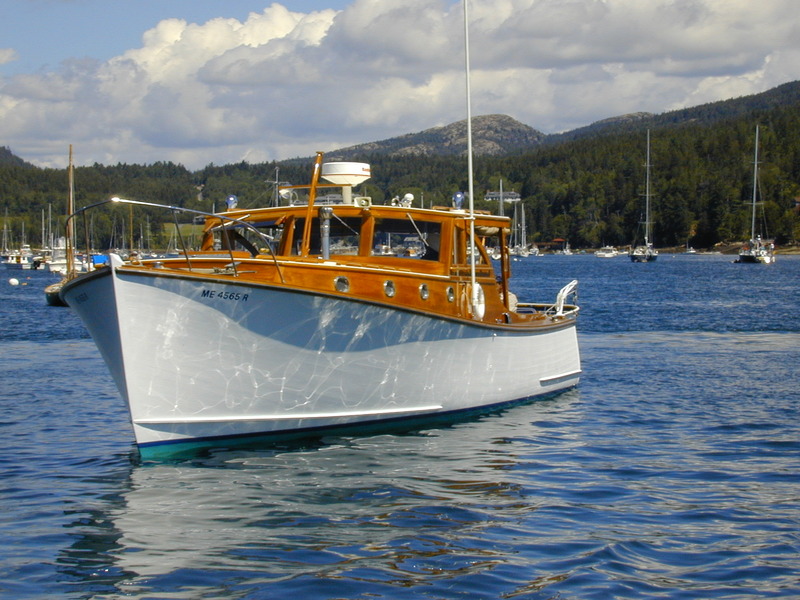 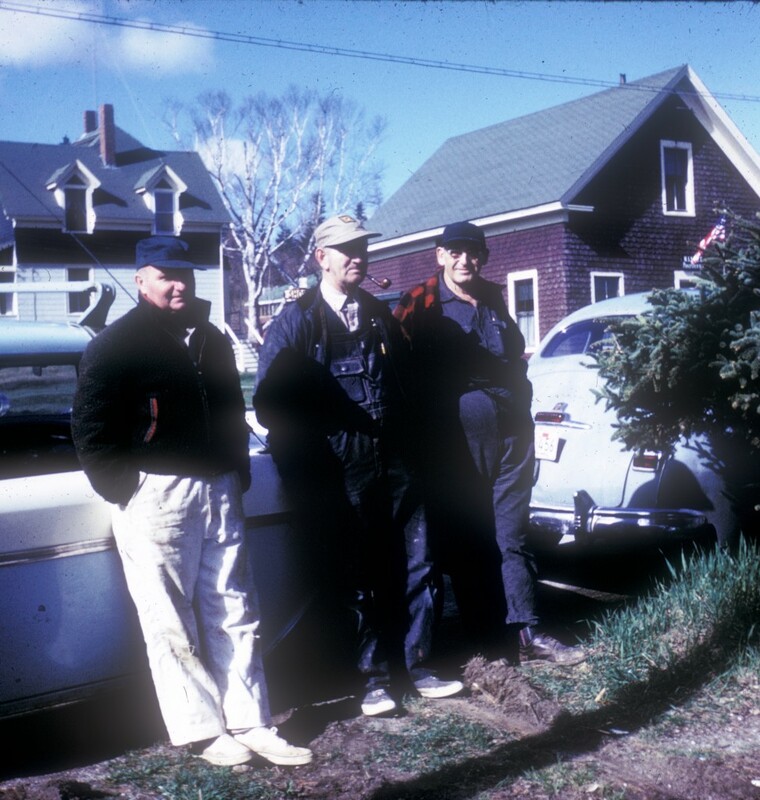 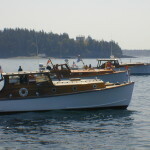 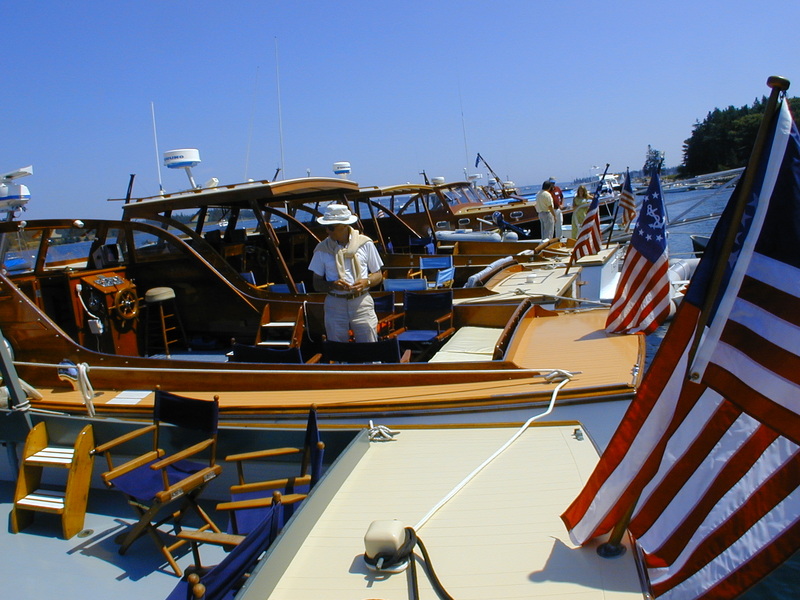 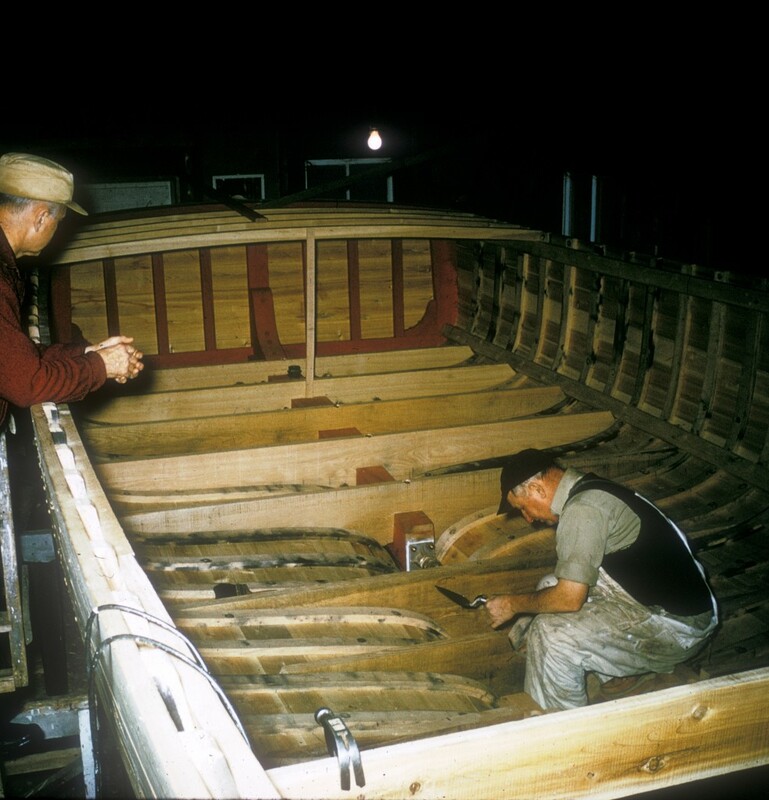 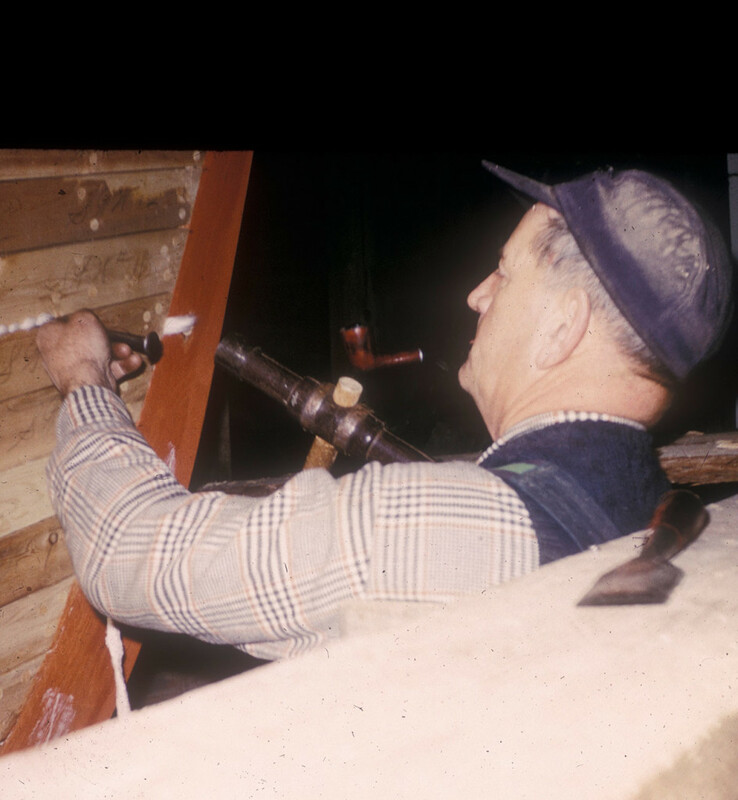 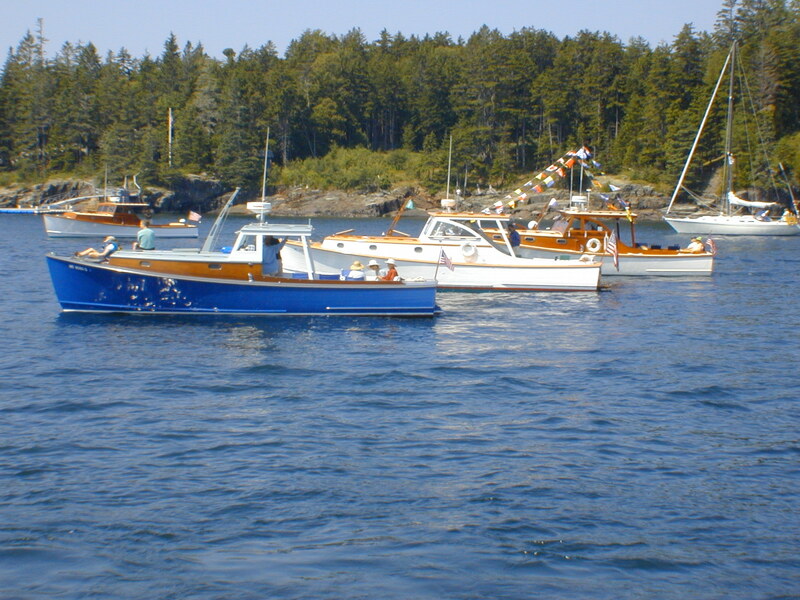 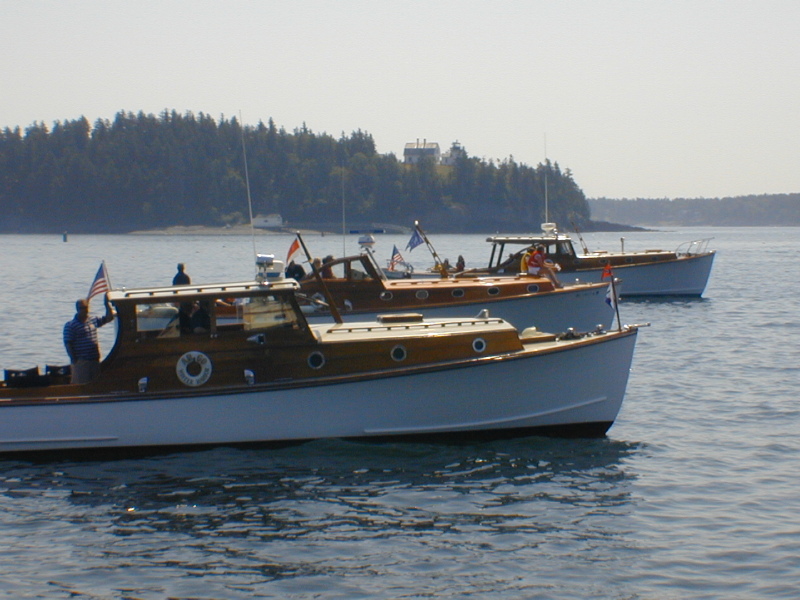 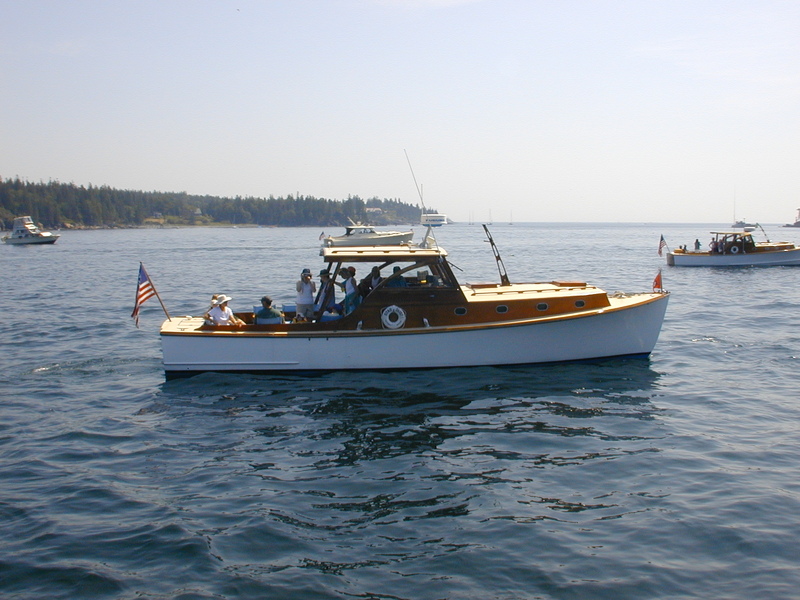 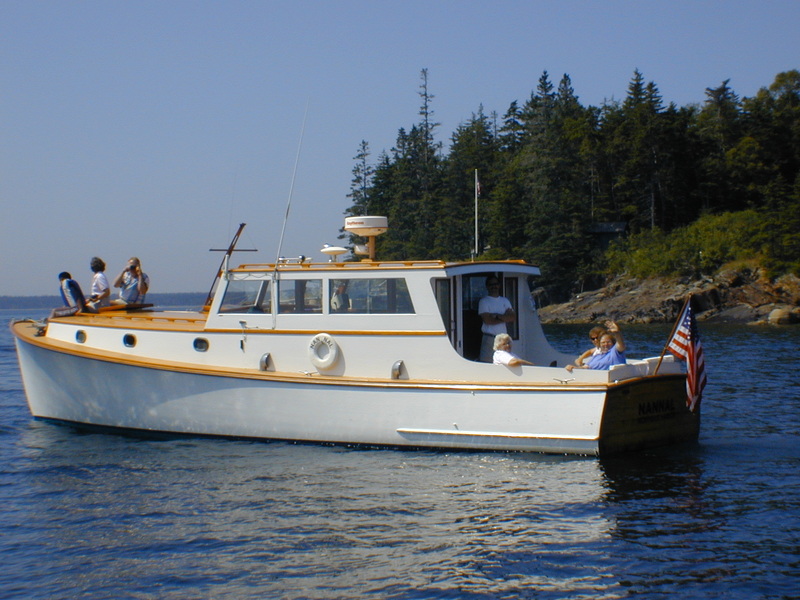 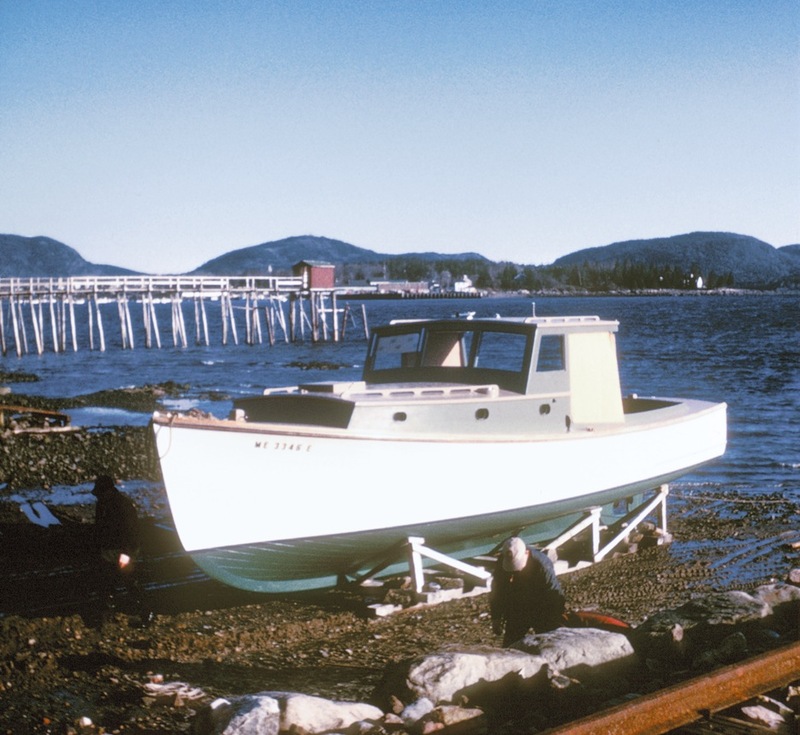 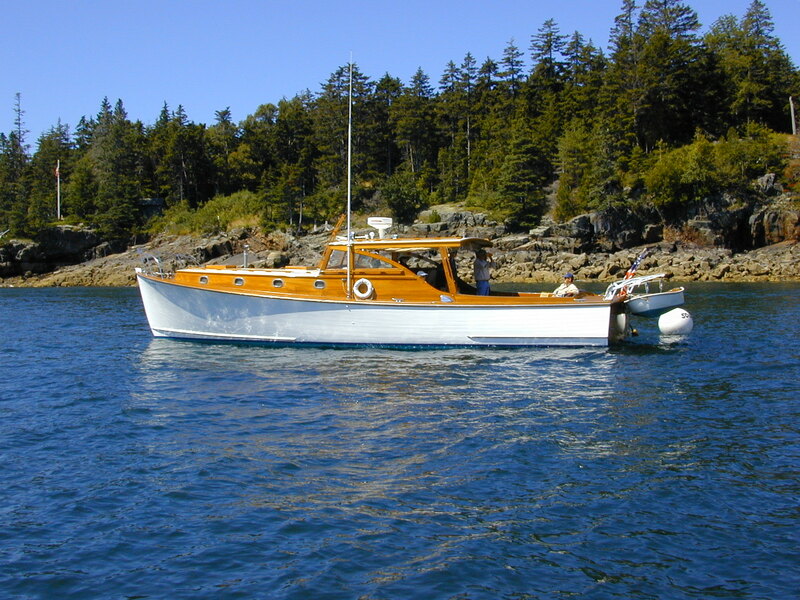 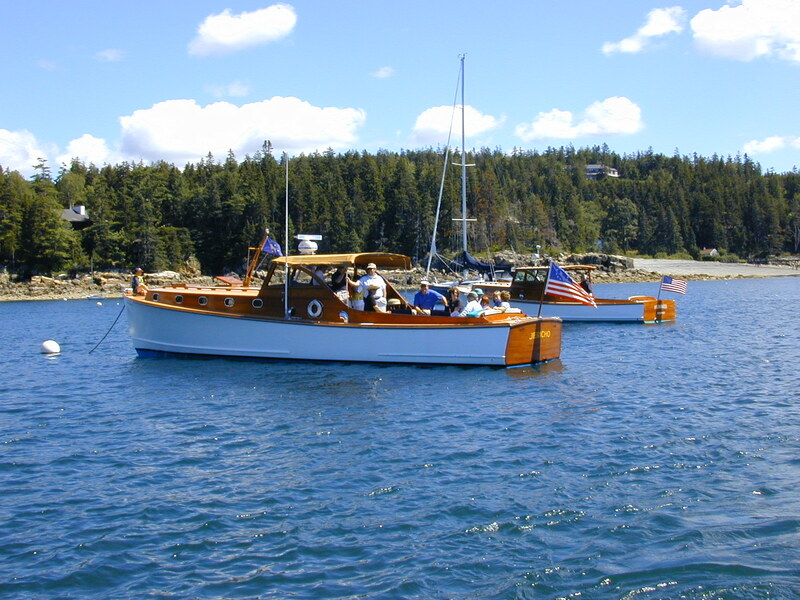 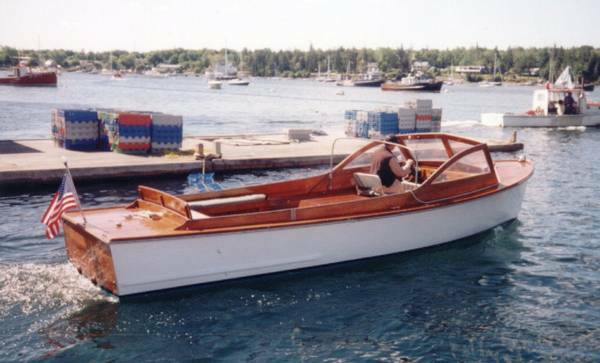 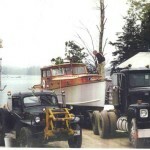 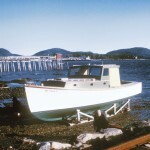 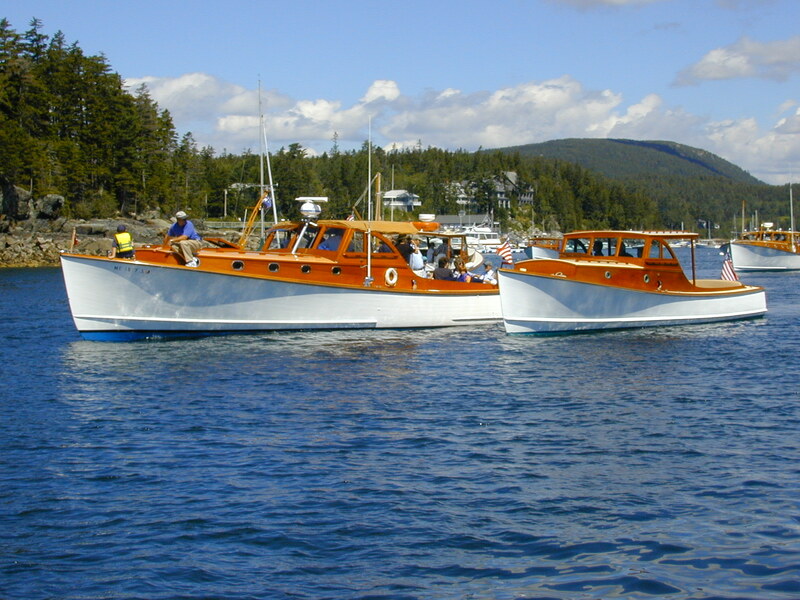 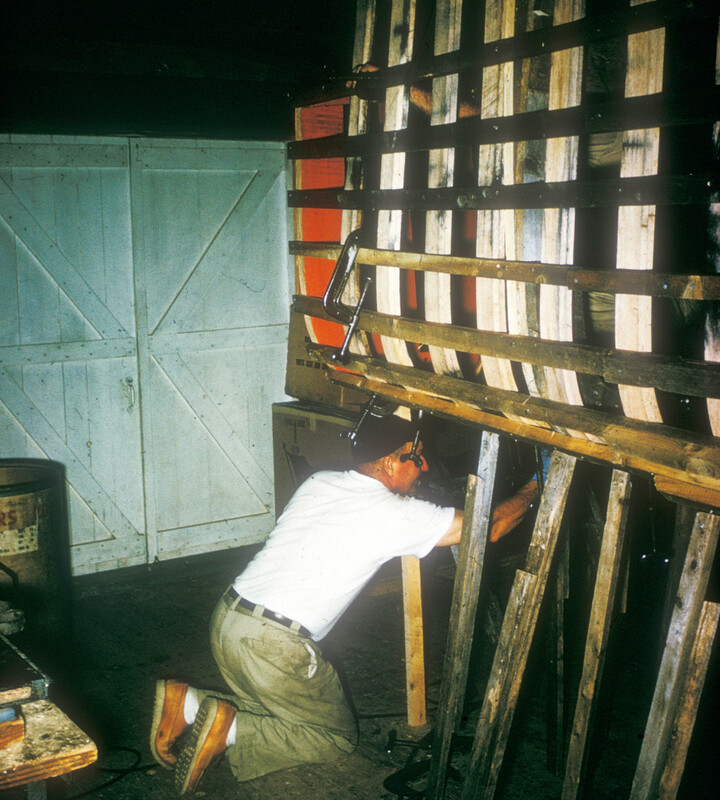 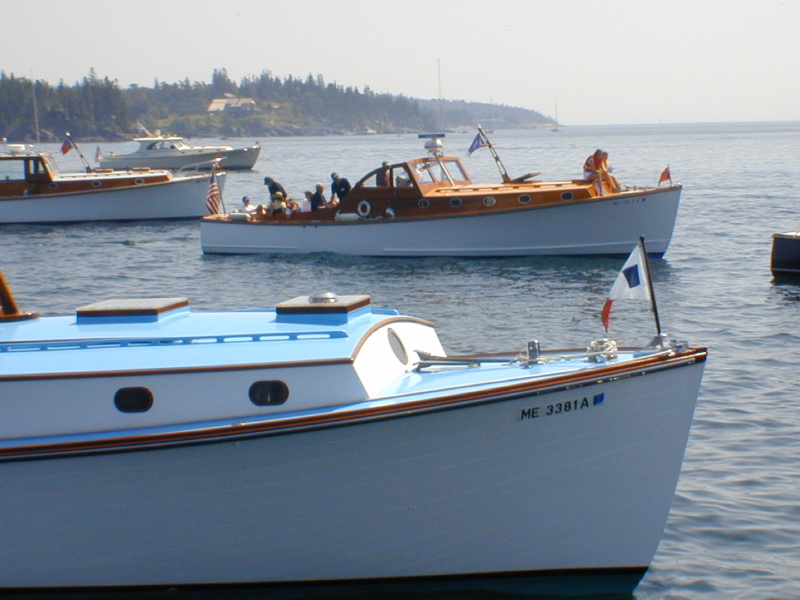 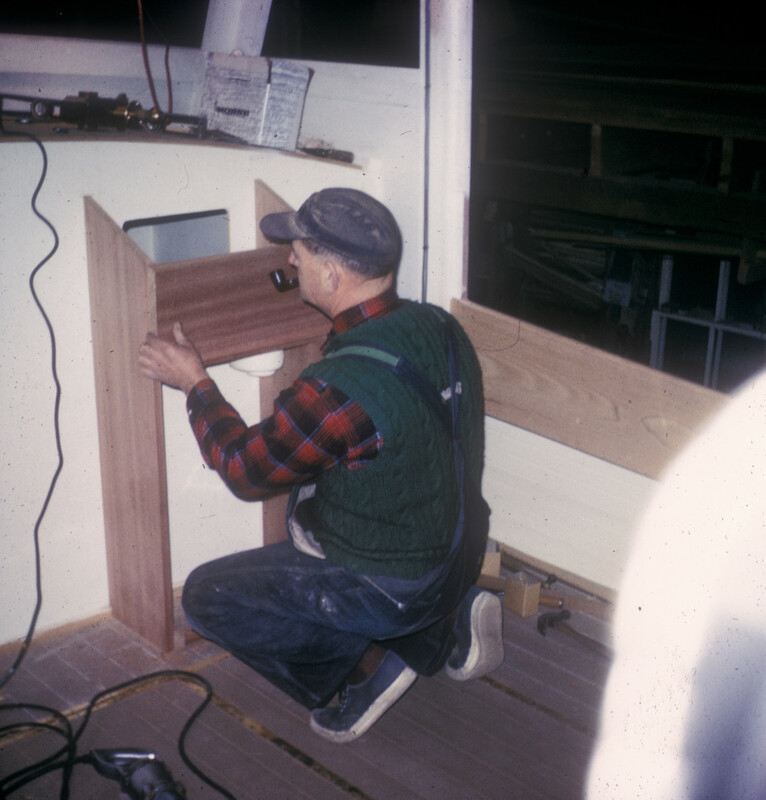 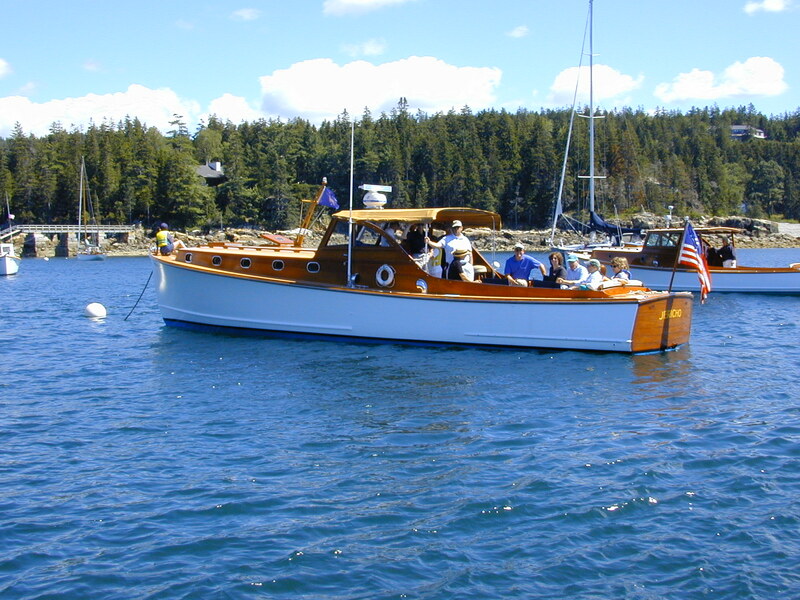 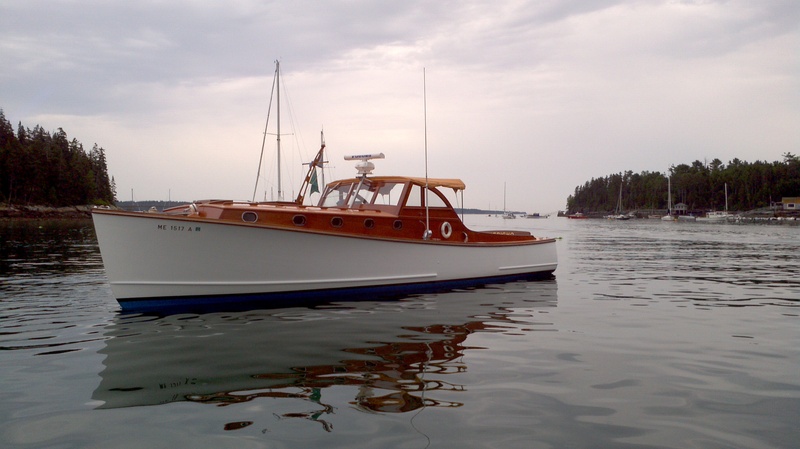 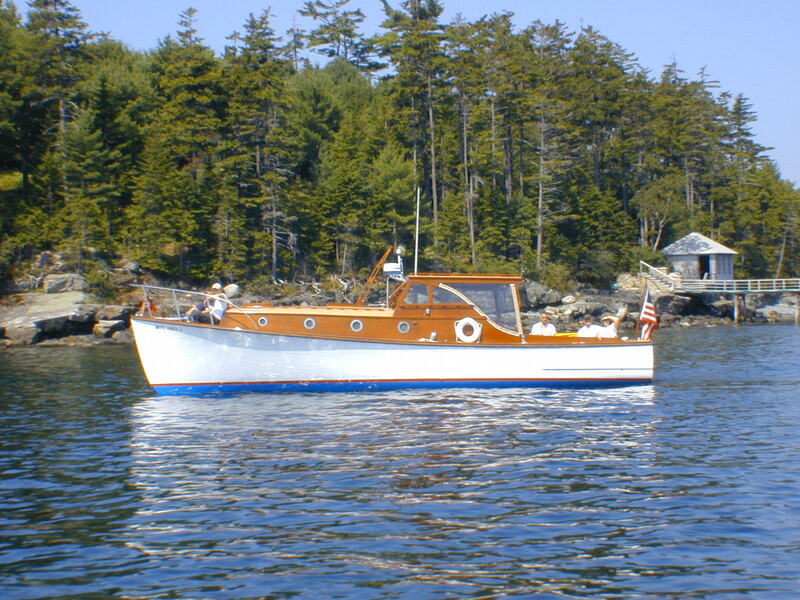 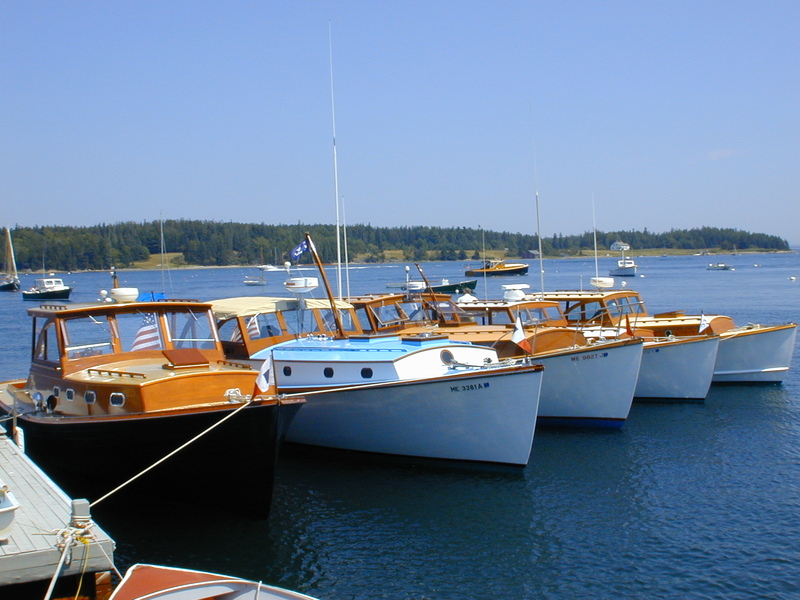 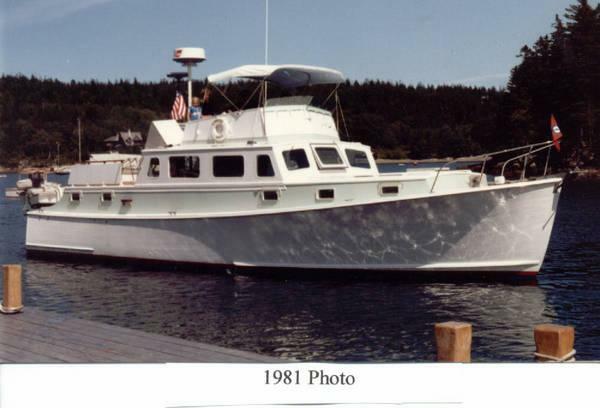 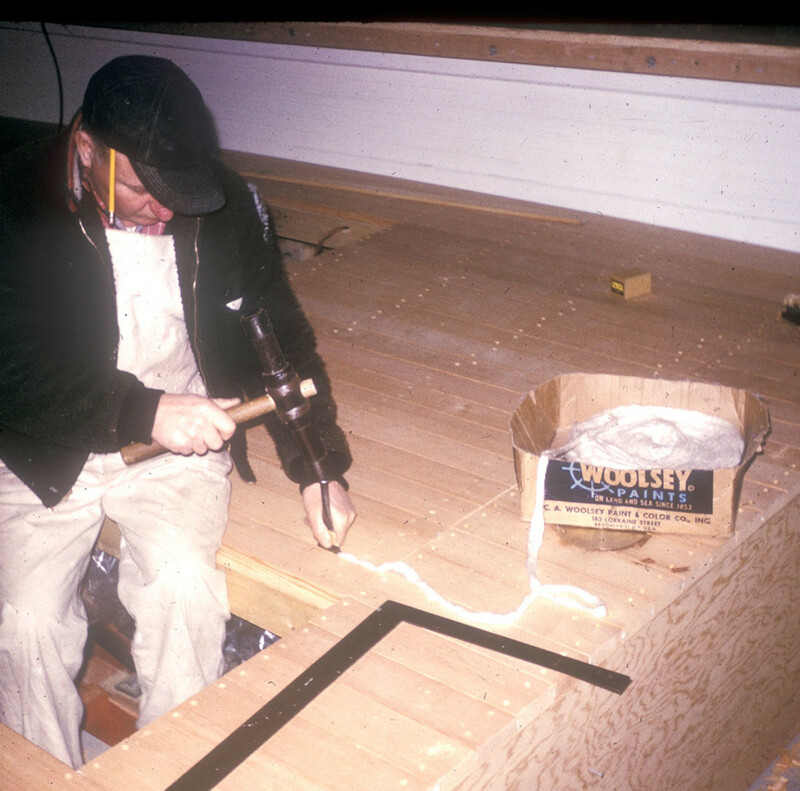 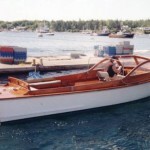 Before building custom boats, Ralph Ellis made a living, as many did during the early 1900s on the coast of Maine, fishing and captaining boats for summer residents. 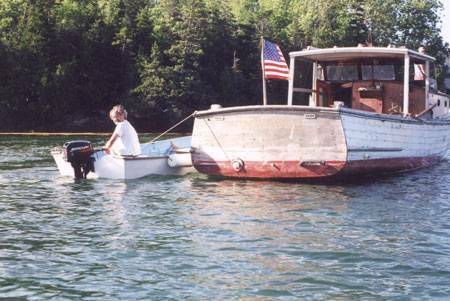 But his life would change one night during a fateful game of pool at Jim’s Place, in Southwest Harbor. 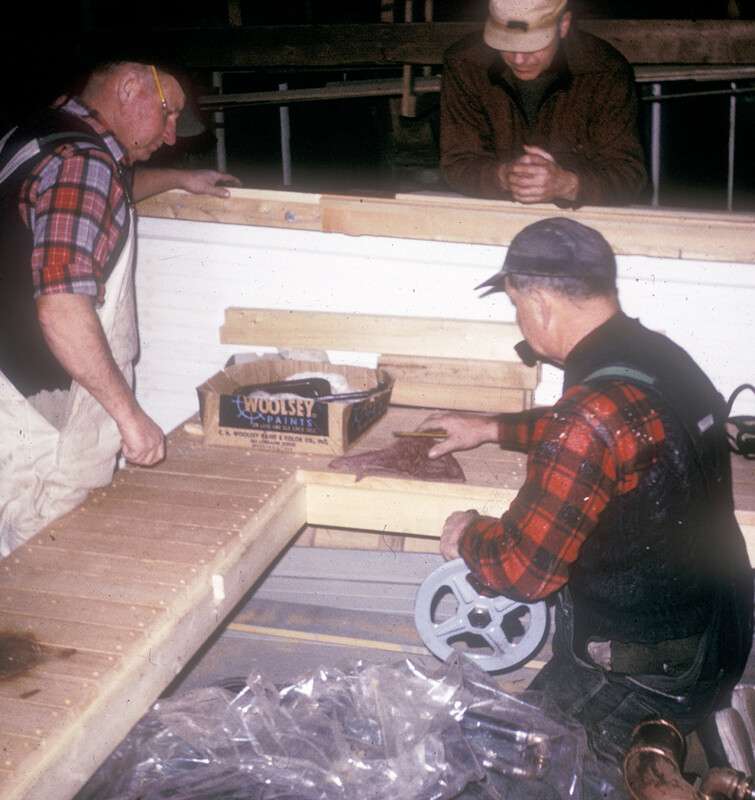 Ralph Ellis and Raymond Bunker were at the pool table, passing time and conversing about small town issues. 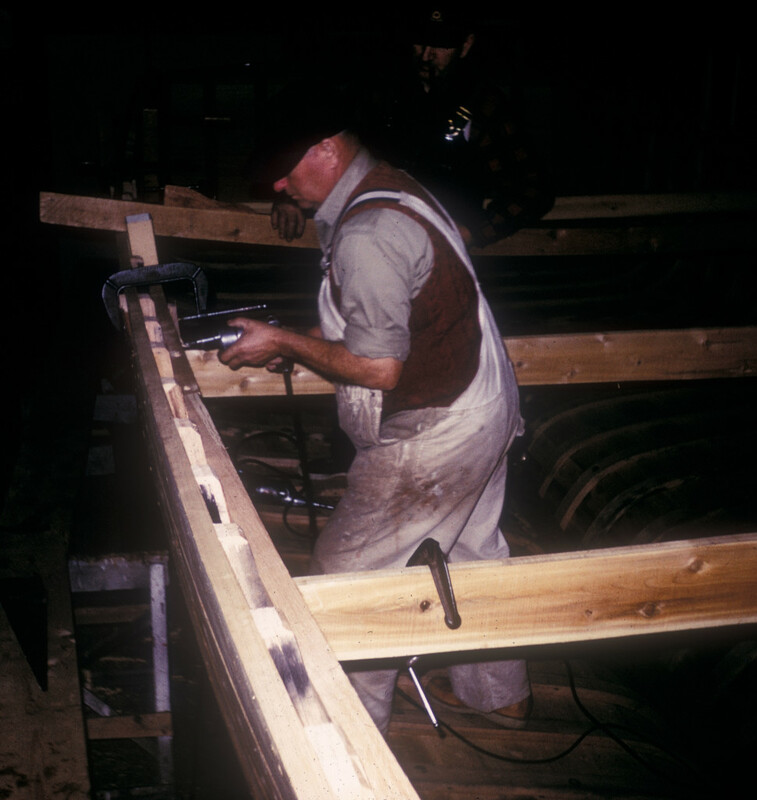 It is said that Raymond made the statement, “If I had a place to build a boat, I would do so instead of wasting my time playing pool.” Ralph replied, “I have a shop, but I know very little about building a boat. 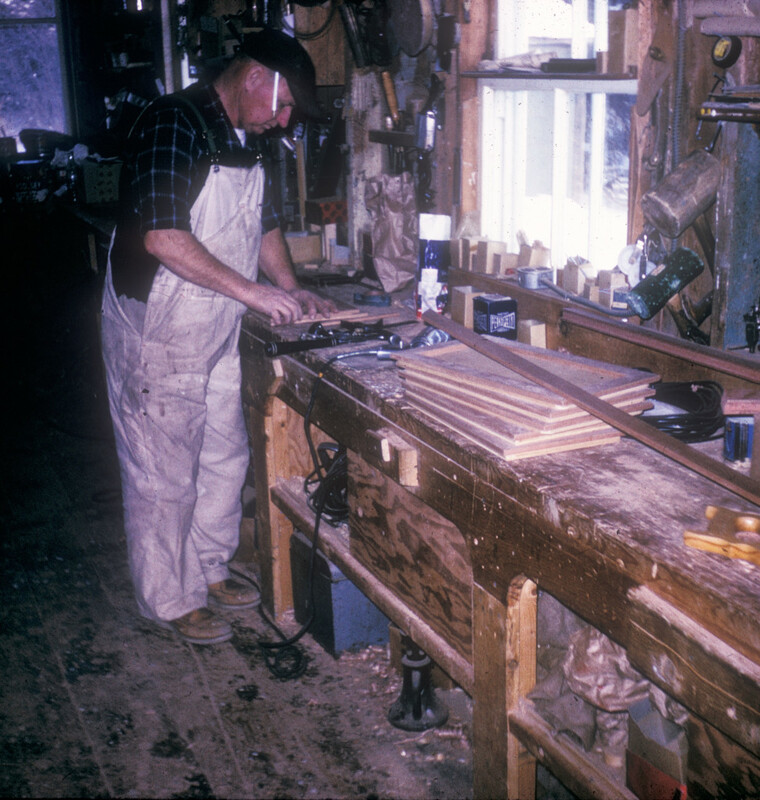 If you wish, I will put my shop up against your know-how.” That is all it took. 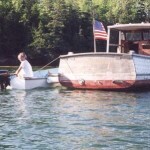 As of that day, they were in a partnership that lasted for over 30 years. 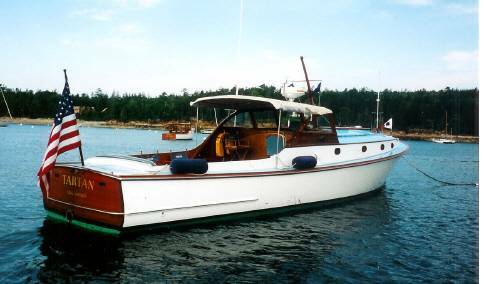 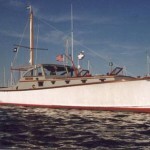 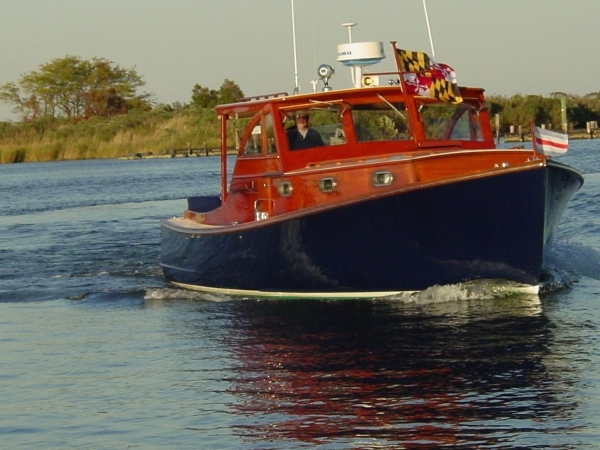 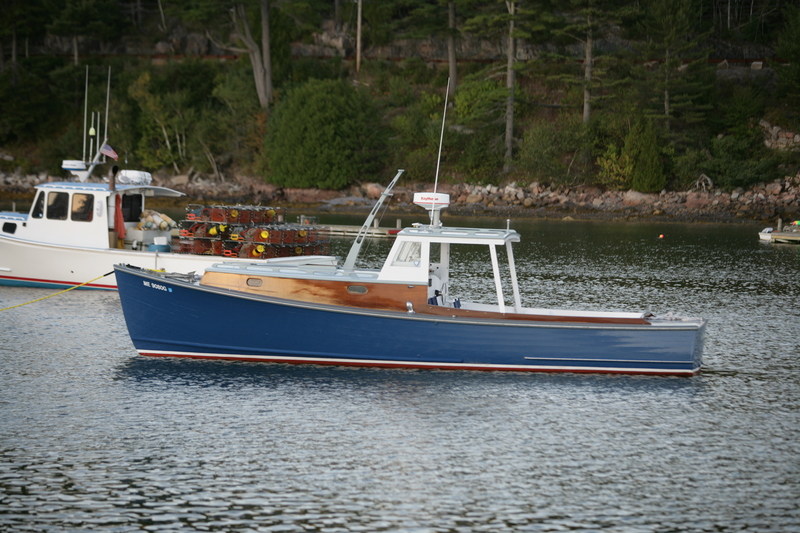 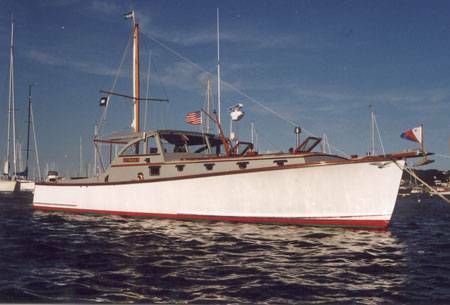 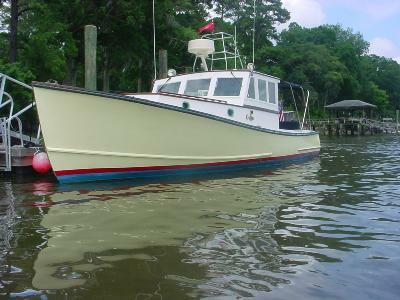 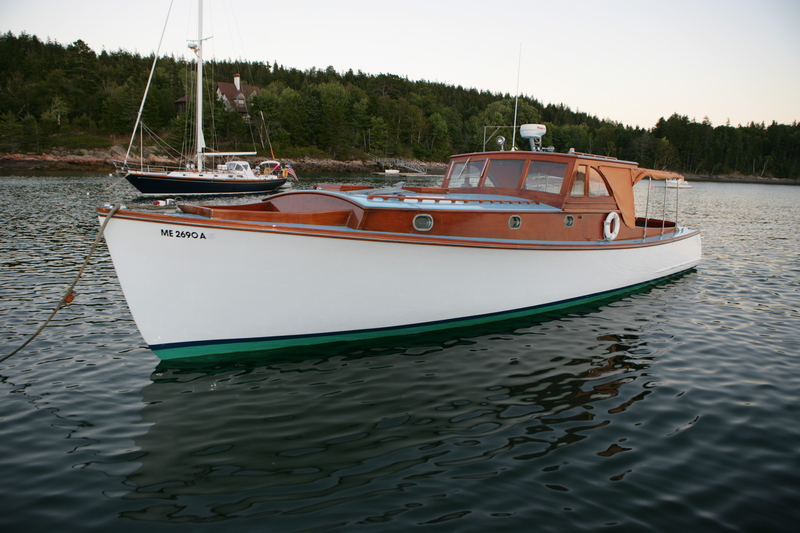 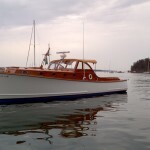 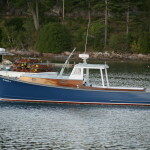 Of the boats that were produced by Bunker and Ellis, most are still turning heads throughout the eastern seaboard. 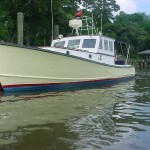 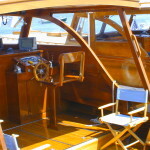 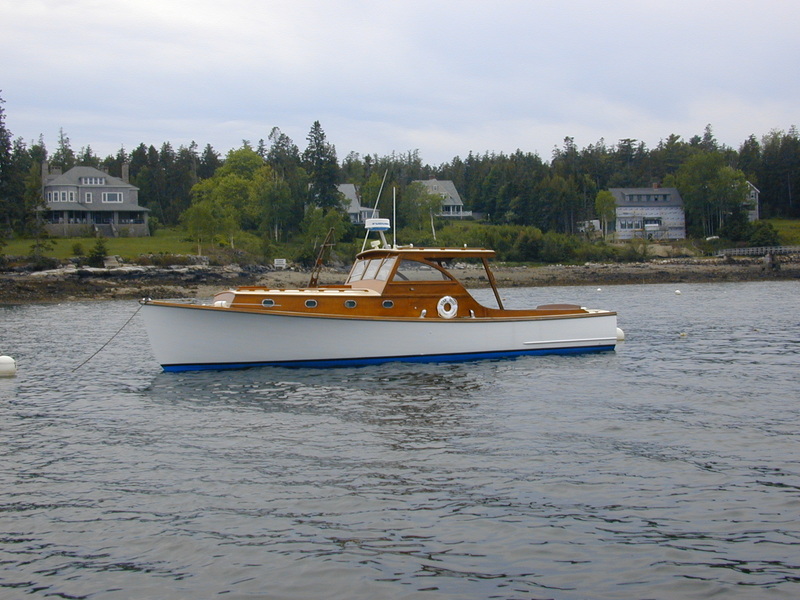 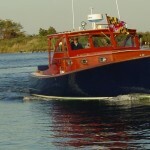 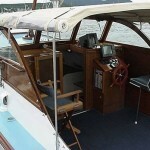 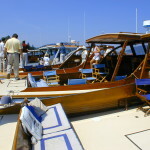 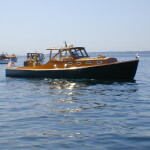 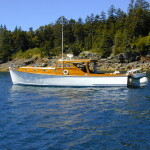 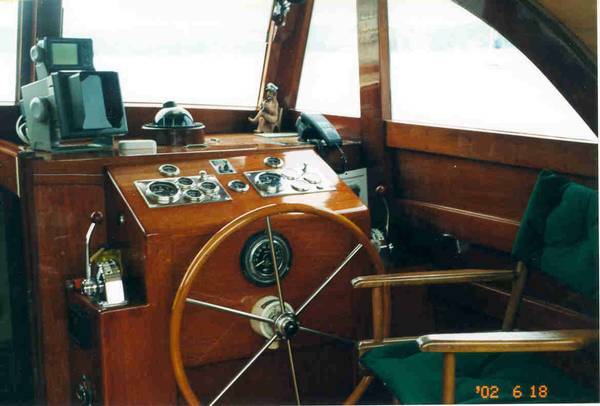 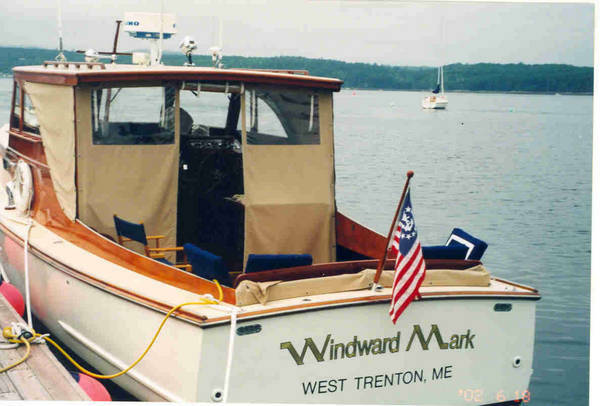 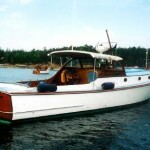 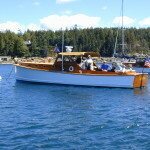 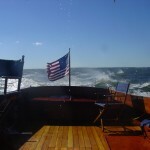 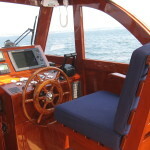 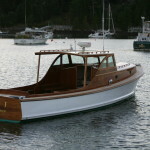 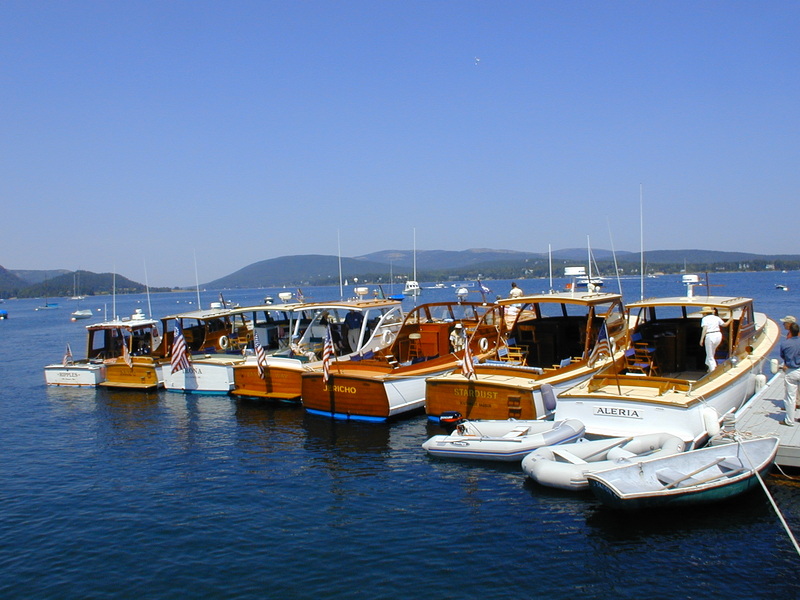 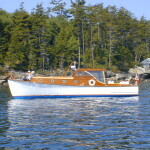 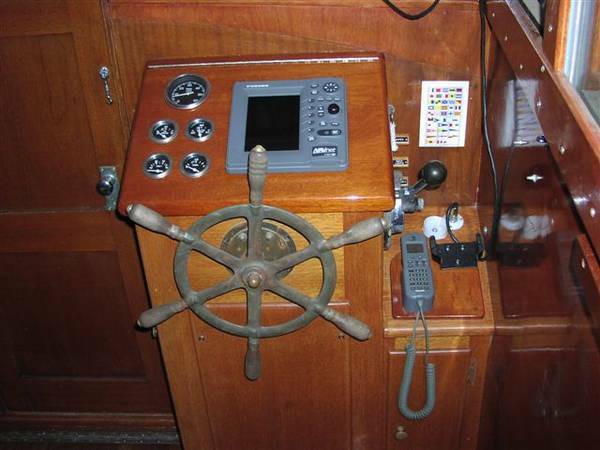 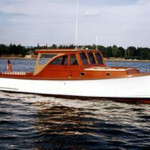 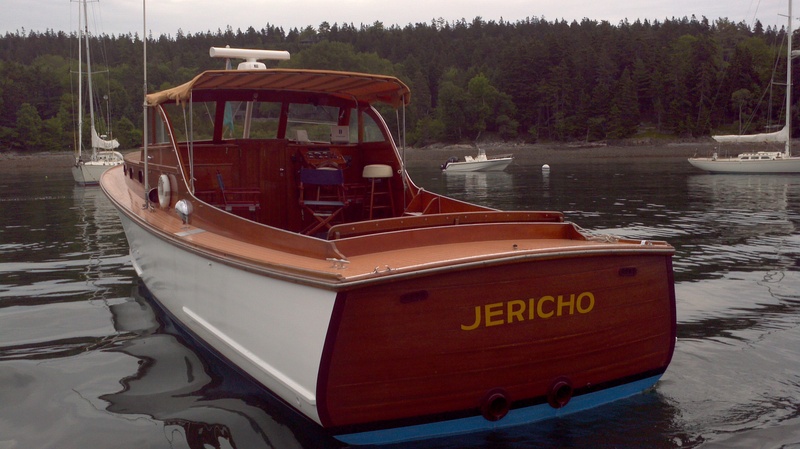 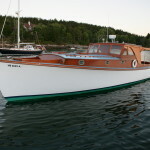 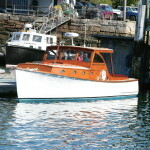 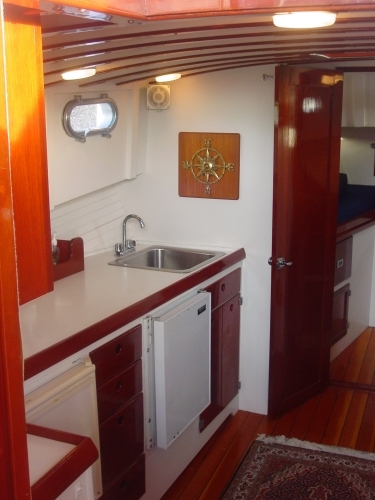 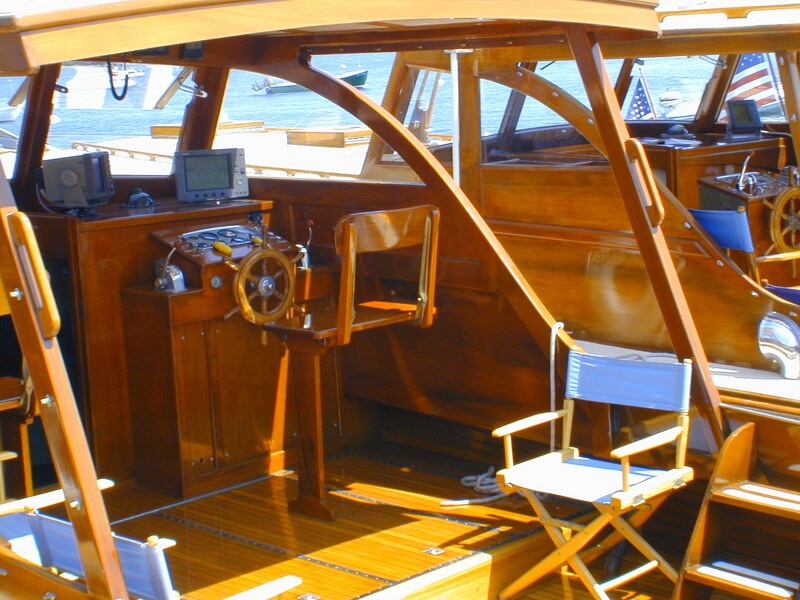 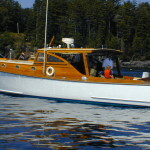 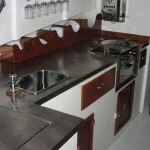 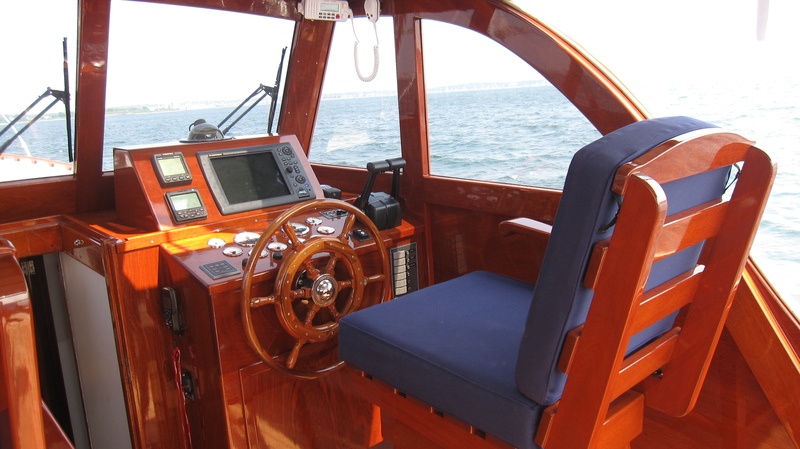 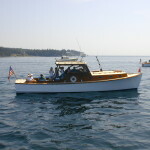 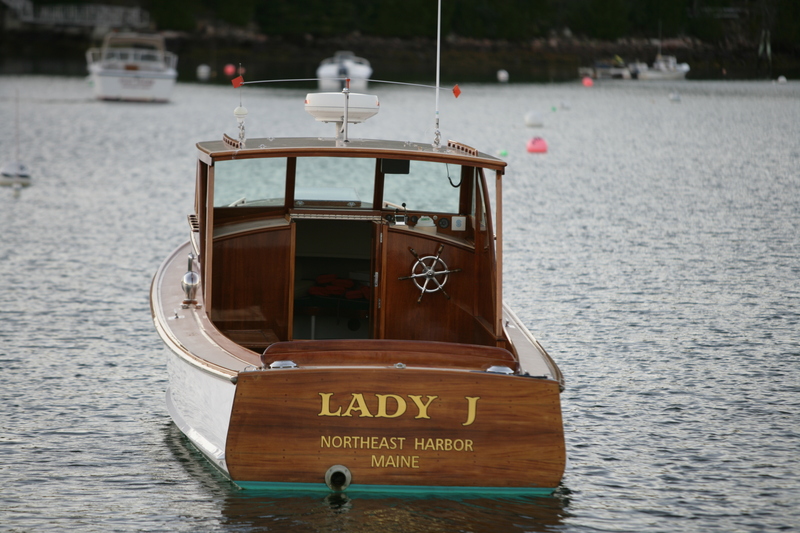 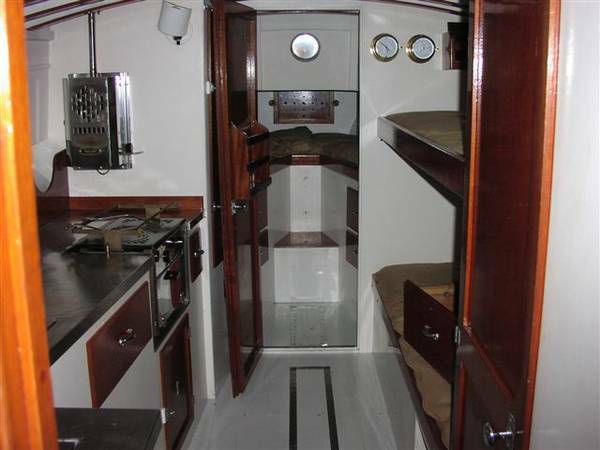 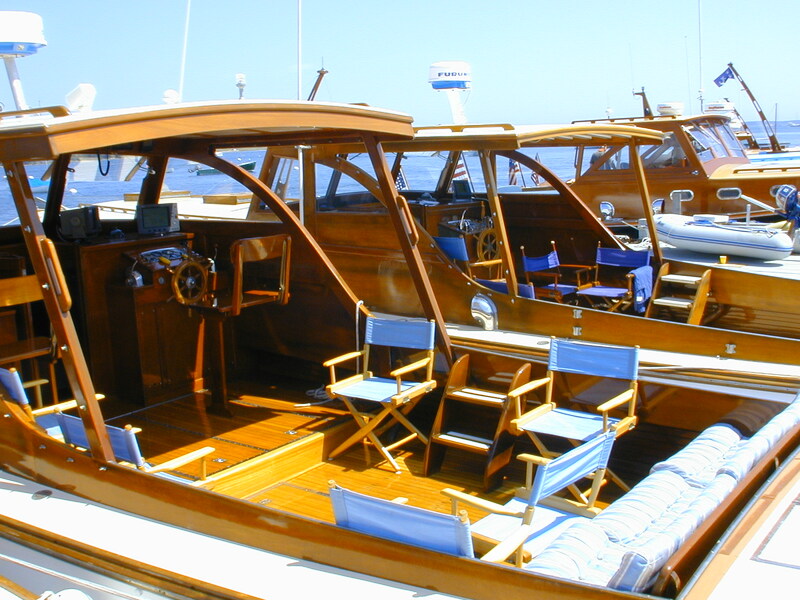 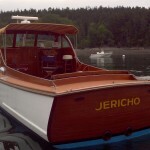 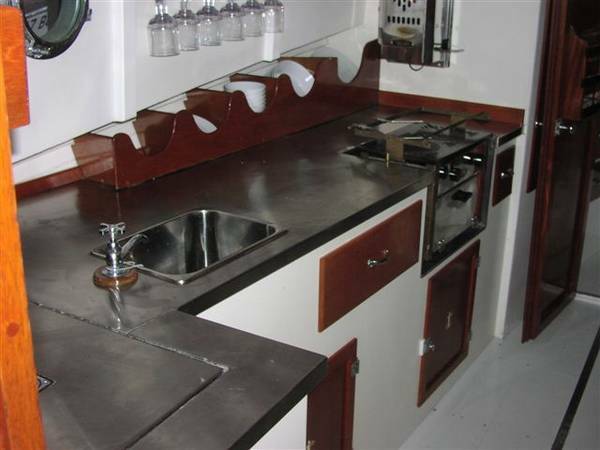 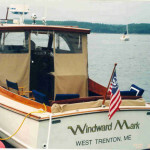 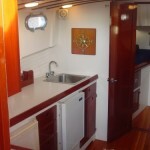 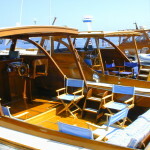 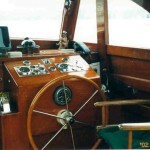 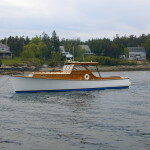 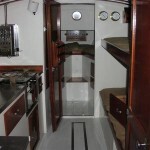 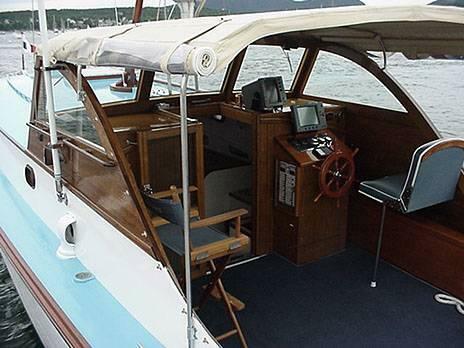 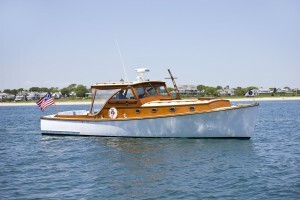 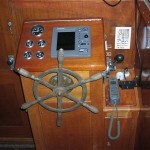 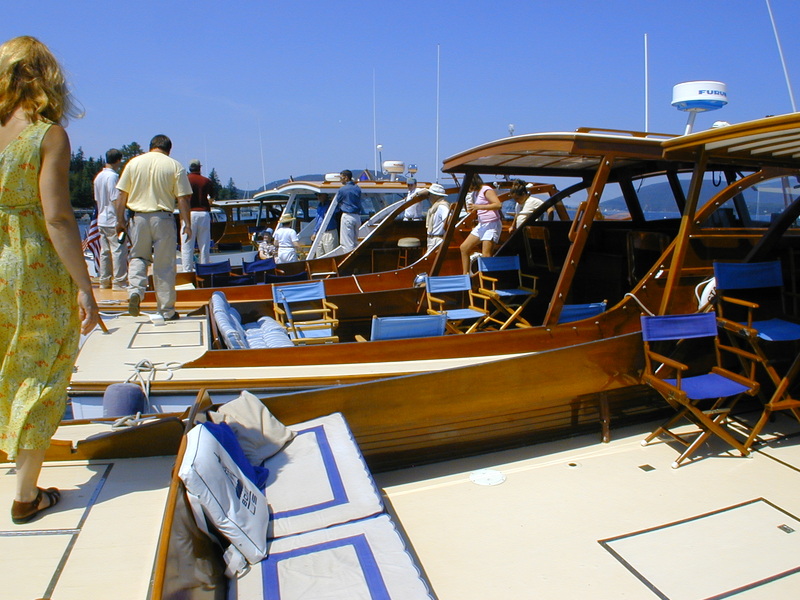 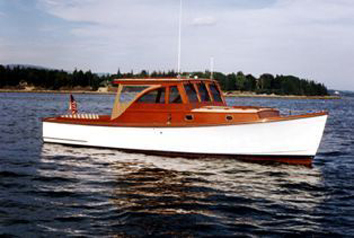 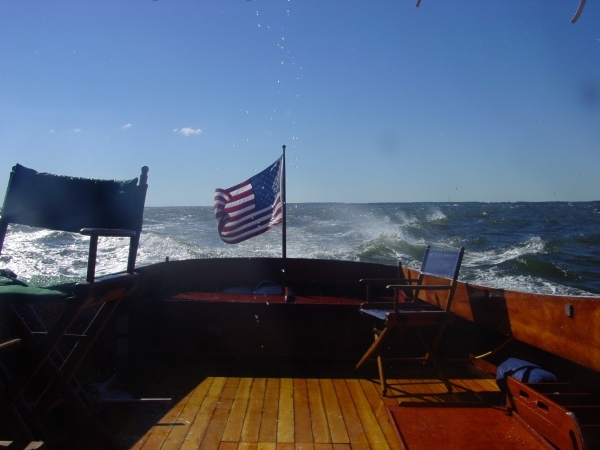 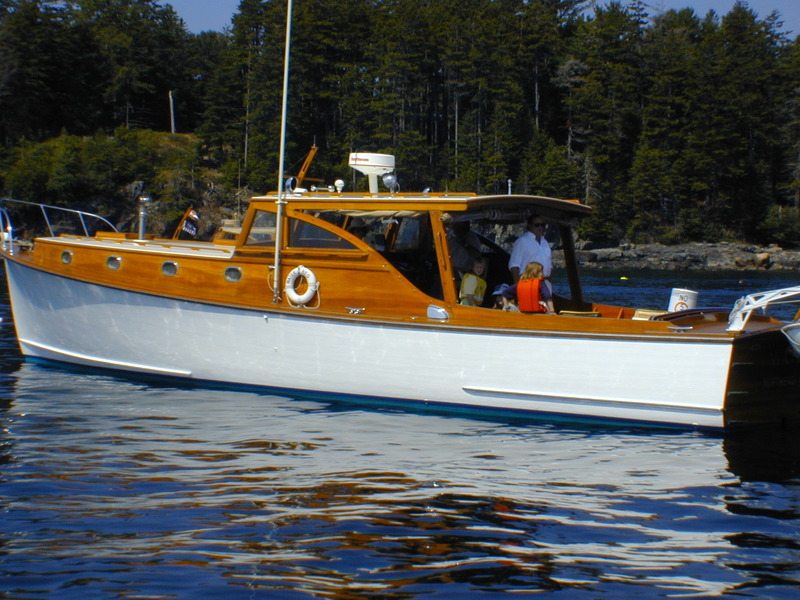 The beautiful lines and custom finish work in teak and mahogany are respected and copied by many custom boat builders. 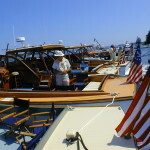 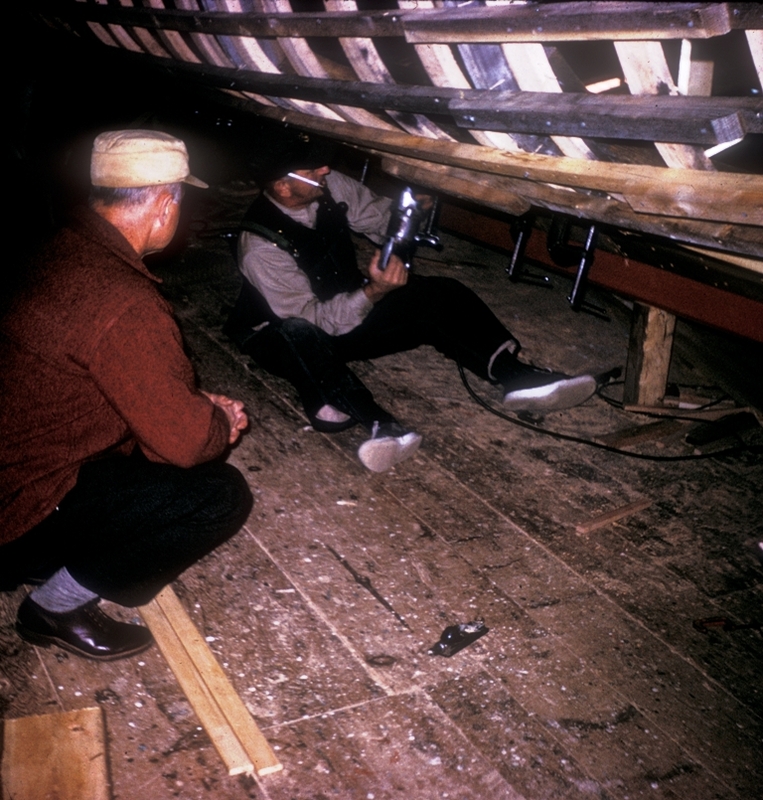 Building only a few boats a year, their work was immaculate. 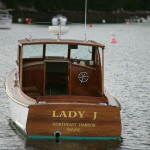 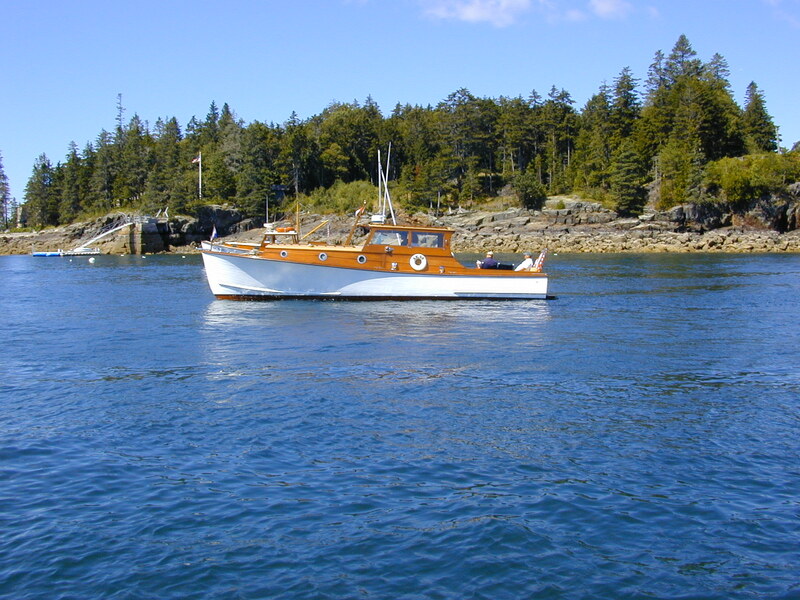 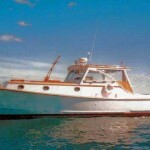 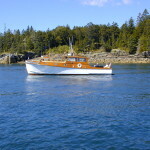 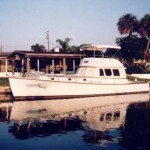 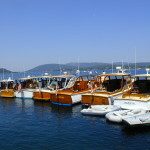 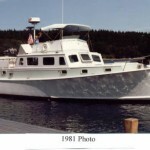 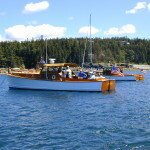 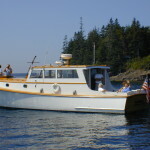 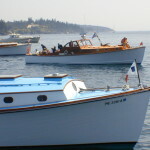 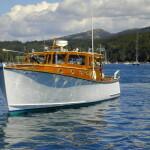 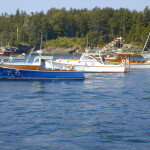 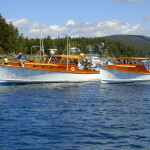 It is said that they were the first to use the term “Lobster Yacht” as a description of their boats. 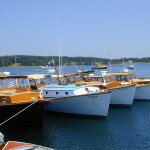 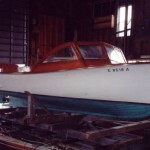 Ralph Ellis spent much of his life in a boat shop not 40 feet away from the front door of his house in Southwest Harbor, Maine. 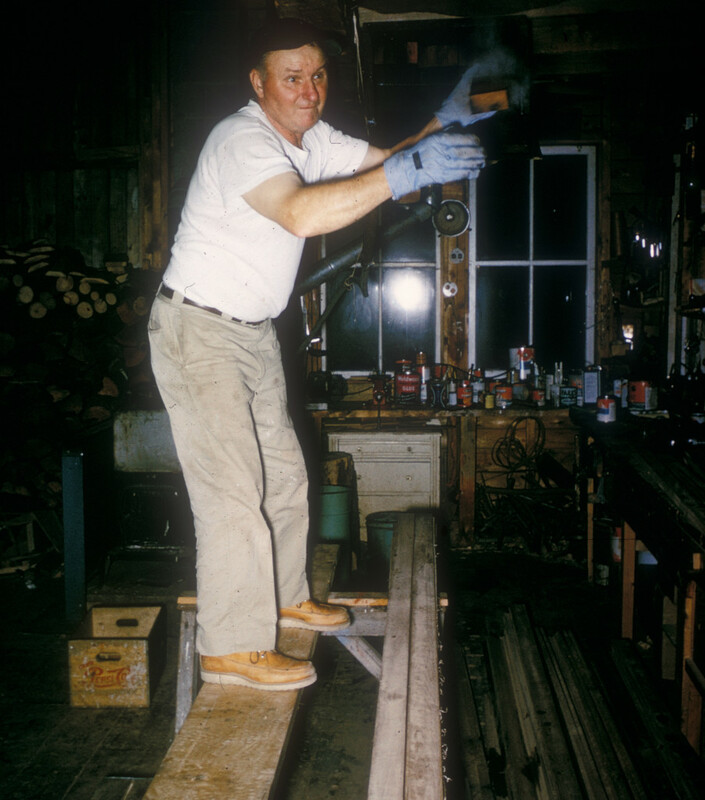 That shop has since been expanded upon and replaced by a new facility owned and operated by Ralph’s son, Don Ellis. 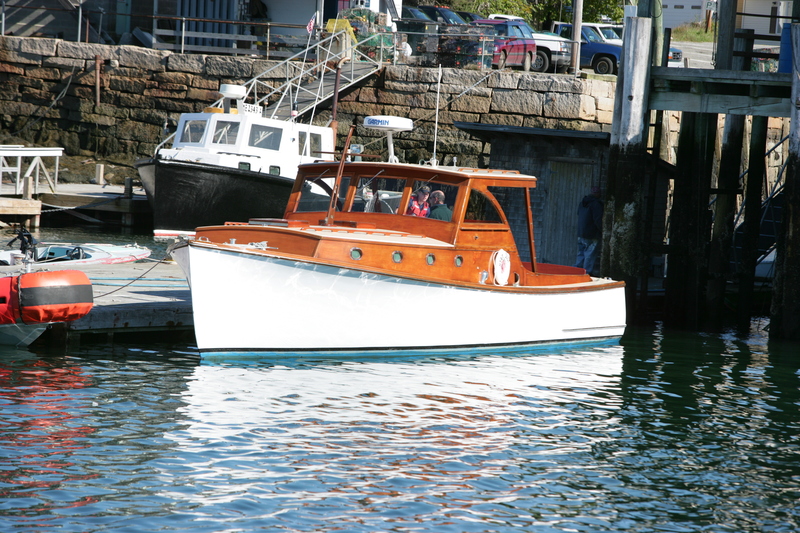 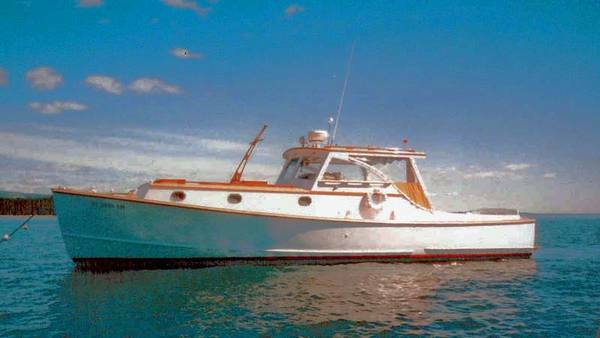 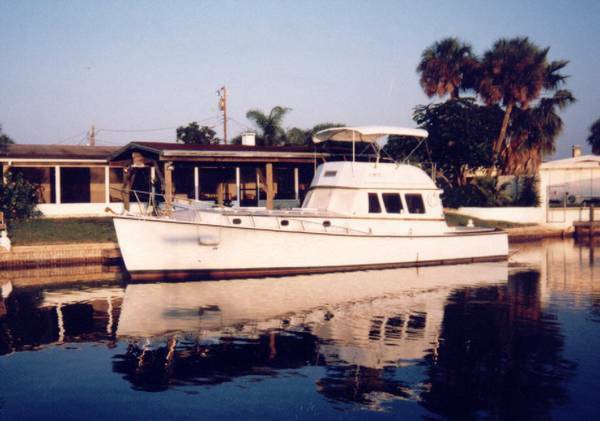 All of the knowledge and experience that Ralph Ellis acquired through his years as a master boat builder, he passed down to his son who is now the President of Ellis Boat Company. 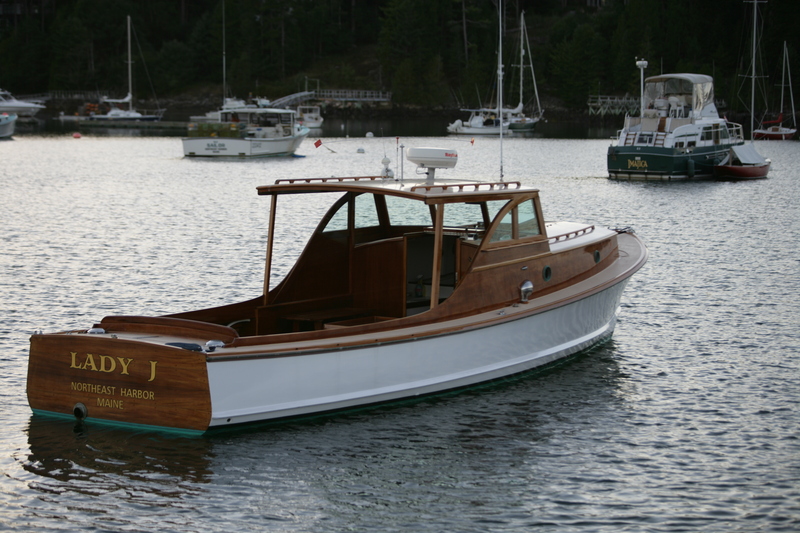 Today’s Ellis boats continue to exemplify the style, craftsmanship and attention to detail that Bunker and Ellis are famous for. 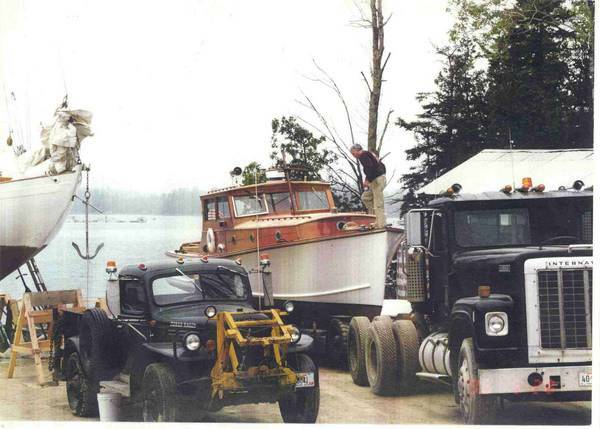 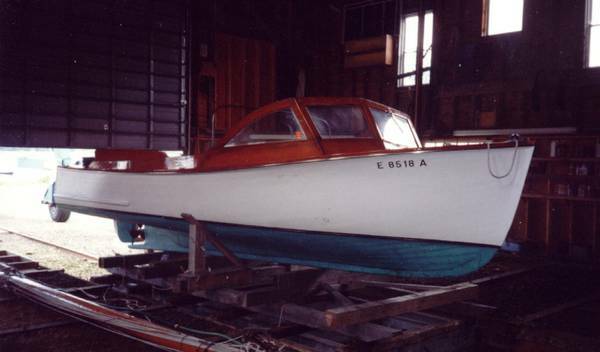 The history and traditions of Ralph Ellis and Raymond Bunker still remain strong at Ellis Boat Company. 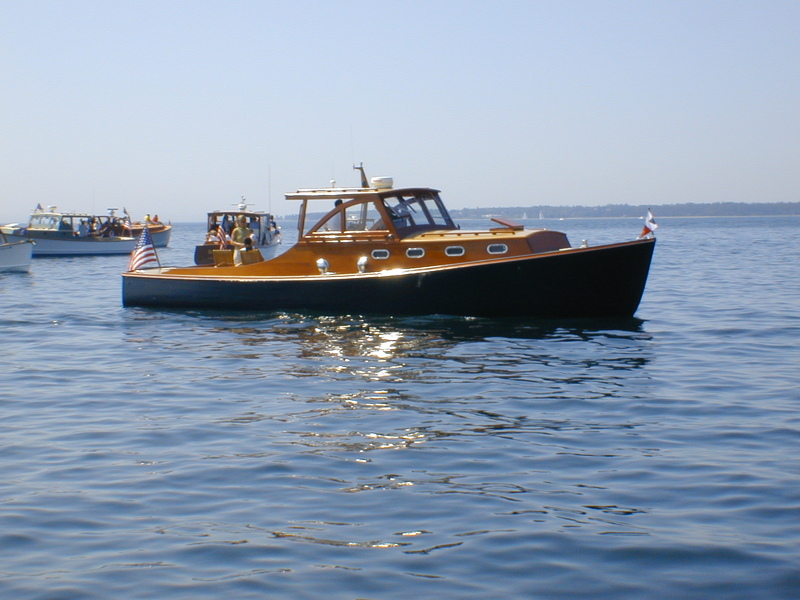 Some Bunker and Ellis Boat Photos… Enjoy!